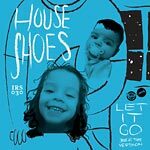 On the Beat Tape Version (cassette-only) of House Shoes' Let It Go album, you get the entire instrumental LP, with all the music re-cut and re-worked into a beat tape, including exclusives not available on the original LP, like ''Tangerine.'' This cassette is limited to 200 copies worldwide, and includes a digital download with purchase. House Shoes, The Ambassador of Detroit Hip-Hip, released his debut album, ''Let It Go,'' in 2012.